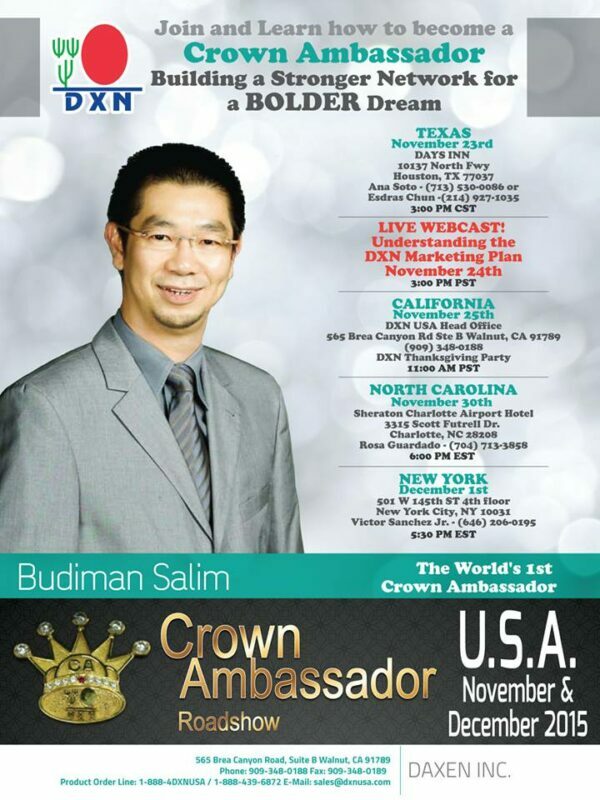 Mr. Budiman Salim is the first DXN Crown Ambassador in the world! He reached the highest position in the DXN business building and having done this business for 18 years. He is still passionate about DXN and he is absolutely not thinking about quitting. Let him tell you why DXN is the right choice. He changed his life completely, now it’s your time to change yours! He will share his personal testimony and the keys to become DXN Crown Ambassador. 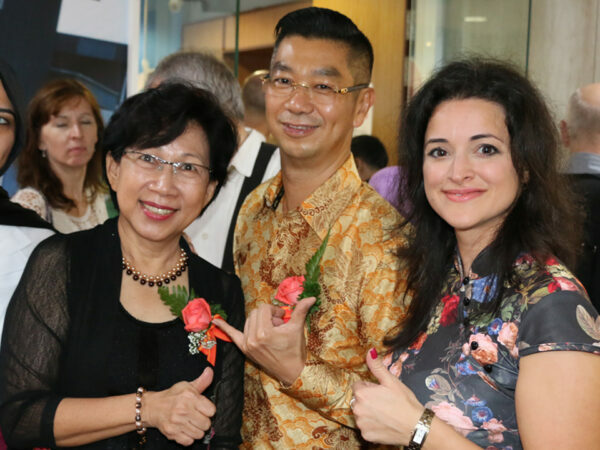 I have the opportunity to meet with him personally in Kuala Lumpur some weeks ago, at the opening of the new DXN Office in Malaysia. If you live in the USA do not miss this great opportunity to meet with him personally!